Direct from London and back by popular demand, The Bootleg Beatles, is returning to Australia. Don't miss out on this incredible show! James Reyne announces the first ever 12 month residency at The Palms. After the huge success of their ‘Classic Albums Series’ the Chocolate Starfish main-man Adam Thompson presents the blockbuster soundtrack to ‘Bohemian Rhapsody’ live in concert. Jack’s is back by popular demand for one night only! Jack Jones will be playing Southern Sons debut album in its entirety again! 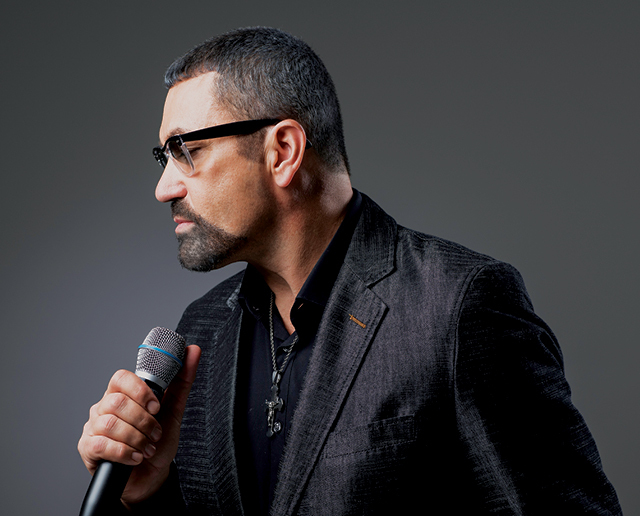 Giannis Ploutarhos is a 15 time platinum singer and is considered one of the most popular Laïko singers of his time. Don’t miss 1927 live at The Palms. Ricki-Lee became a household name in 2004 when she appeared on Australian Idol and is one of Australia’s most loved popstars. See her live at The Palms performing songs from the movie 'A Star is Born'. Three unique solo voices, but when called upon – one tenor sound! The Celtic Tenors will perform The Irish Songbook on their Australian tour with such classics and many favourites. Never Ending 80’s take you back to Party Like Its 1989 with a night packed full of the biggest hits by the biggest artists ever. The ultimate night out and not only for the girls! This event is for 18+ only! Internationally Renowned Artist John Stephan will be celebrating & paying the ultimate homage to The Big O. THE DOORS ALIVE will perform an intense live experience at The Palms at Crown, celebrating the legendary music of THE DOORS. Mondo Rock return with a rare run of Theatre shows on the 2019 Hits! Baby! Hits! Tour. They don’t come any bigger than this! Now, exactly 42 years since Elvis’ premature passing, a concert befitting the music artist. Due to overwhelming demand, Elvis an American Trilogy, the show that embodies the essence of The King, is back in Australia this September. Two of the most talented and popular singers of their time will perform a smorgasbord of favourites in November. Check out the schedule for all upcoming concerts at Crown Melbourne. Treat the whole family to the movies with a Family Pass and save up to $25^. Kingpin our entertainment precinct at Crown is now open after a multi-million-dollar refurbishment.